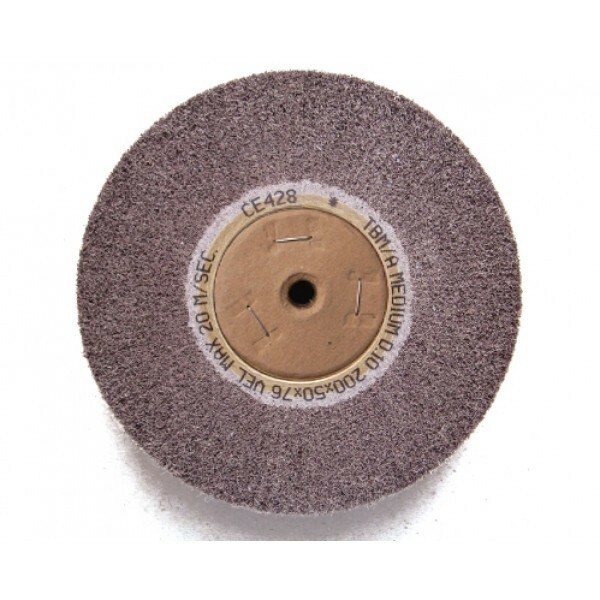 Scotch Brite Flap Brush 8"x 2" (200x50mm) Unmounted flap wheel with a optional fibre centre to fit on tapered spindle. Density 10: Very densely packed flaps of non woven scotchbrite impregnated with abrasive mineral to give uniform cut and finish throughout product life. Used for light deburring, cleaning and satin finishing applications across a whole range of industries. The centre can be left open 3"(75mm) if requested. 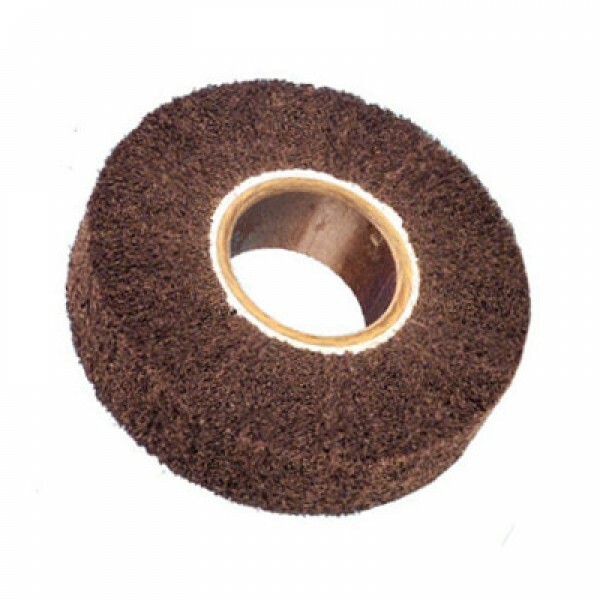 8"x 2" (200x50mm) Unmounted flap wheel with a optional fibre centre to fit on tapered spindle. Density 10: Very densely packed flaps of non woven scotchbrite impregnated with abrasive mineral to give uniform cut and finish throughout product life. Used for light deburring, cleaning and satin finishing applications across a whole range of industries.